Export PST to Text automatically. You are here: CoolUtils > Total Outlook Converter > Export PST to Text automatically. PST is a format of file that is used by MS Outlook for storing the local copy of mailbox. No other program except your mail client can read it. So if the mail client doesn't work or you lost password to your mail account, it will be impossible to read email history without additional conversions. With the help of Total Outlook Converter you can export PST file to any text format. This can be TXT, Doc or RTF. 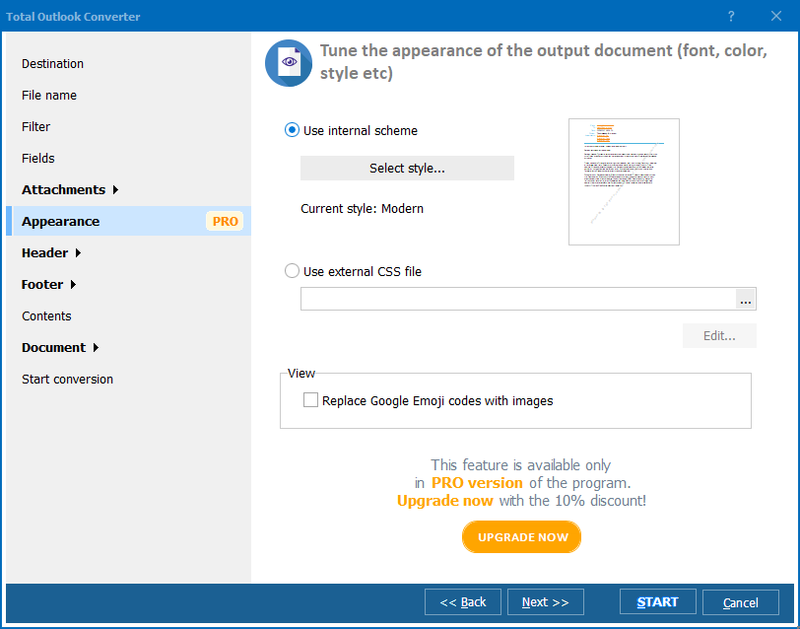 If you want to get formatted email copies compatible with various text editors, including open source solutions, you may choose converting PST to RTF. 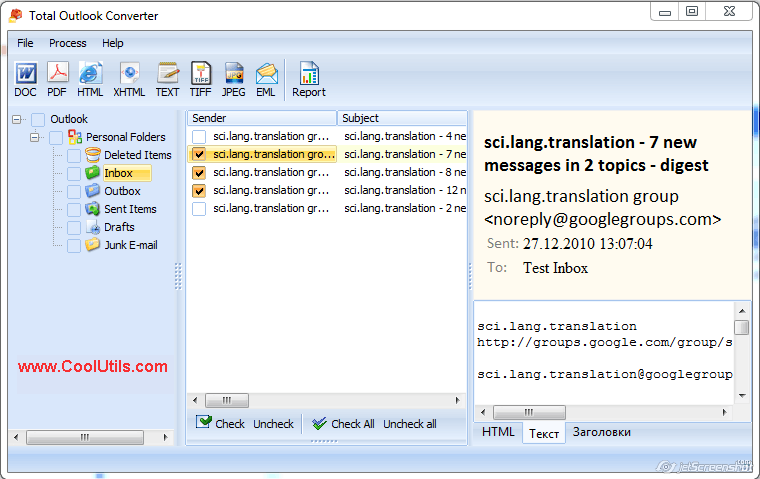 RTF is a universal document format supported by almost all existing text editors. Enabling export by pressing Start! All these actions automatically follow each other in handy and simple user interface of Total Outlook Converter. It is impossible to get lost in its settings, as they are organized comfortably in the program window. 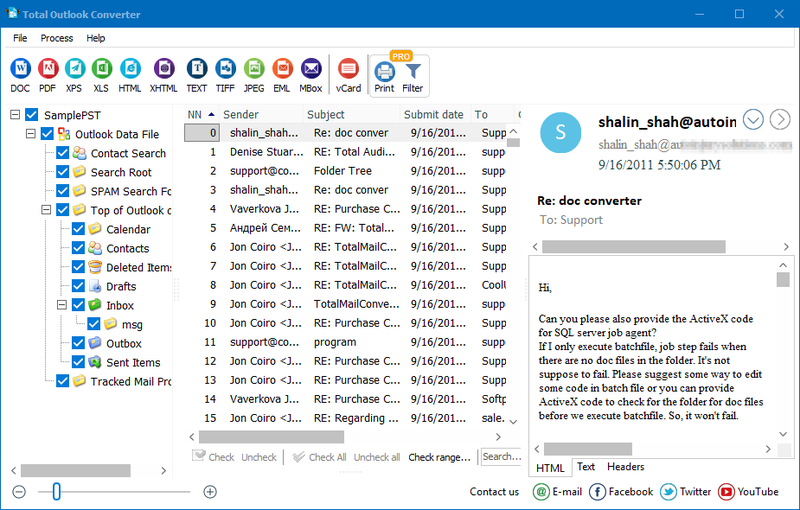 When PST file is uploaded to this PST converter, you will see the inbox similar to MS Outlook. All emails will be sorted by mailbox folders, displayed in a handy list. You just need to check off required emails from the list and set conversion parameters. 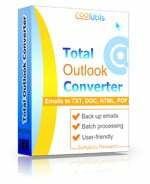 Total Outlook Converter can export emails in batch. 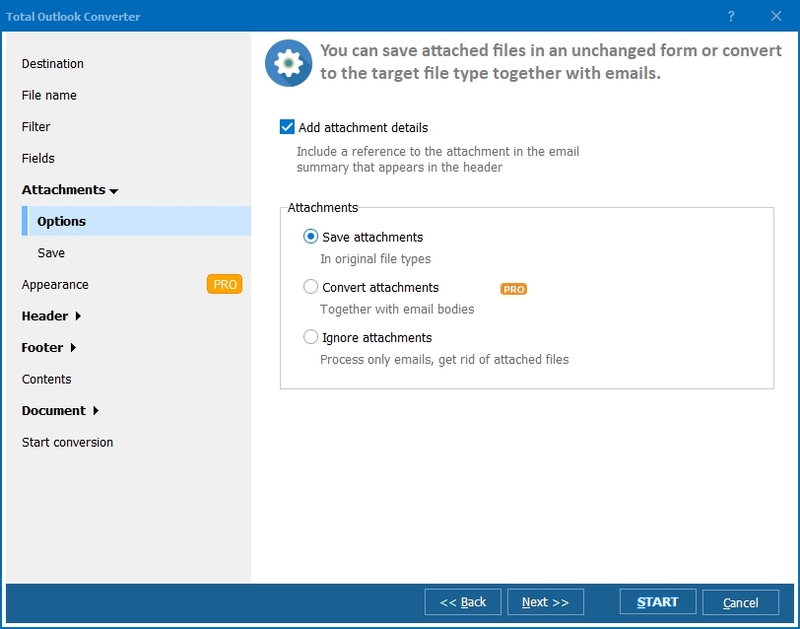 This means you can convert even the whole mailbox, setting conversion parameters only once. This significantly saves your time and makes the process of email export very simple. You can download Total Outlook Converter in free trial version to test its features before purchasing. Get sure it suits your needs before ordering a license!